It seemed like last year's Tack För Kaffet / So Long was the bittersweet swansong for a shape-shifting creative force that brought the world so much timeless psychedelia, but a handful of the participants from that album have now surfaced anew. Of Träden's four members, only founding guitarist Jakob Sjöholm remains from Träd, Gräs Och Stenar's original line-up, yet this latest incarnation feels like the natural next chapter for an entity that has always been fairly loosely defined. While there is nothing particularly ambitious or revelatory on this album, this new foursome prove to be especially adept at crafting warm, fluid, and unpretentious music that perfectly evokes the quiet pleasures of a handful of talented friends comfortably jamming and bouncing ideas off of one another in a countryside studio. Some of those jams ultimately turned into very good songs, of course, but the real magic of Träden is that the band feels free, sincere, casually experimental, and joyful in a way that is rarely heard these days. Given that everyone in Träden except drummer Hannah Östergren was involved in Tack För Kaffet, it is no surprise that the opening "När Lingon Mognar" picks up right where that album left off, unfolding as a languorously droning groove embellished with chant-like vocals and a lazily winding and smoldering guitar solo that casually comes and goes. It is one of the better songs on the album, but it is not particularly representative of what follows. That elusive aesthetic highlights one of Träden's most endearing qualities, as they are singularly laidback and non-dogmatic in their approach to sun-dappled psychedelia. That organic, unhurried, and loose-limbed vision is admittedly something of a double-edged sword, occasionally resulting in indulgently meandering vamps like the 11-minute "Tamburan," but it seems like a necessary foundation to the band’s successes as well, most of which occupy the album’s more fleshed-out second half. The understated bass-driven groove of "Kung Karlsson" is yet another lengthy vamp on a single, unchanging motif, but the following "Å Nej (Oh No)" sounds like a charmingly woozy and ramshackle reimagining of Ringo Starr's "No No Song." That is one of the absolute last things I would expect from a legendary psych band, but it fits comfortably into the "anything goes" eccentricity that this milieu has always embraced. Also, it is extremely endearing that Träden do not take themselves particularly seriously and can seamlessly shift from tormented, blown-out guitars to infectiously kooky pop weirdness and back again. While it is not exactly the most heavyweight material, "Å Nej" is the first in a three-song stretch of Träden's strongest work. For example, "OTO" is the best of the album's instrumental vamps, as its trance-like, slow-motion reverie provides the perfect backdrop for a dreamily lysergic feast of tenderly shimmering, sliding, and moaning guitars. The mournful "Hoppas Du Förstår (Hope You Understand)" that follows is similarly tender, feeling like a bittersweet elegy for a lost friend or love. Unlike most of the album, it is tightly structured and melodic. Also, it replaces the omnipresent electric guitars with some gorgeously soulful esraj playing from Reine Fiske. The album then winds to a close with a pair of fine guitar showcases. The first, "Hymn," is another one of the band's slow-motion vamps, but Sjöholm and Fiske weave an especially beautiful and simmering web of intertwining arpeggios and fragments of melody. It is actually one of the more overtly experimental pieces on the album as well, as there are some buried field recordings and shuddering, effects-ravaged chords that sneak into the mix as it slowly builds. The final piece is even more of a surprise, as "Det Finns Blått (There Is Blue)" rolls along with a relentlessly purposeful momentum as gnarled and strangled guitars twist and snake around the moaning vocals. It sounds weirdly menacing and uncharacteristically fiery when compared to the rest of the album and is the second of the two pieces Sjöholm wrote for the album. The other was album highlight "Hoppas Du Förstår," which I suppose means that he is the intense, beating heart of the ensemble. I wish he took the reins more often, as he certainly writes the most striking songs, but I otherwise appreciate the album's balance of darkness and light. There are a couple of other aspects to Träden that leave room for improvement as well, as this album is far too good to be just a comforting revival of a familiar and beloved project, yet a bit too relaxed and meandering to quite feel like a vital new entity. "OTO" aside, all of the best pieces seem to be those in which someone is actually credited as a songwriter, rather than those that arose entirely from a full-band jam. In fact, two of the best songs appear to be covers: "När Lingon Mognar" was originally recorded by Harvester, while "Å Nej" was written by Blå Tåget‘s Mats G. Bengtsson. 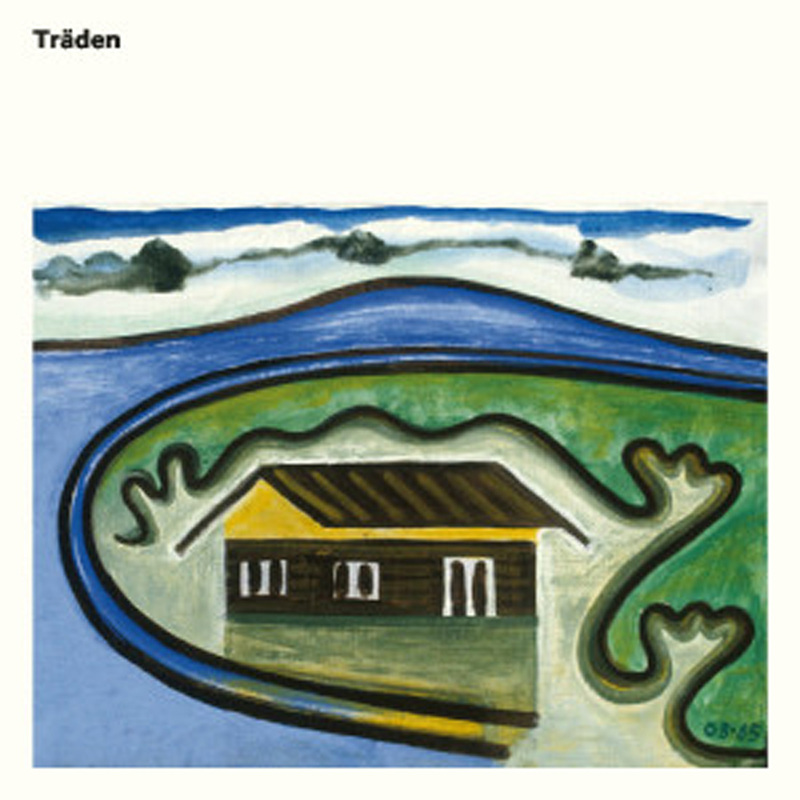 While Träden have a wonderful improvisatory chemistry, it definitely seems like their jams take a more focused and compelling route when they start from an established theme. Also, they have a bit of a tendency to amiably ride midpaced grooves without doing anything to transcend that feeling of a band comfortably jamming without a higher purpose. Unsurprisingly, the band's best work tends to happen when they have a strong melody to work around or find a way to inject some needed bite or sharper edges into their soloing. That said, I still like quite a lot of this album. It may feel like a potentially great band just starting to find their direction, but they are damn good when they hit the mark. More importantly, Träden feel like a much needed corrective to a world sadly lacking the communal spirit of Europe's hippy golden age of bands like Amon Düül II, Pärson Sounds, and Träd, Gräs Och Stenar themselves.